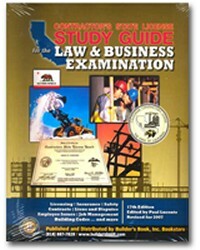 Here you’ll find all the information required for the law and business examination for the State of California. You’ll find how to answer questions on employee issues, contracts, job management, safety, insurance, bookkeeping, estimating, bid procedures, licensing, mechanic’s liens, and building codes. 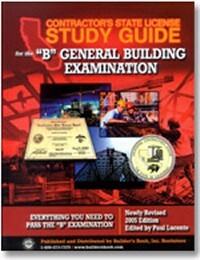 Includes sample exams to help you find the areas you need more work on. 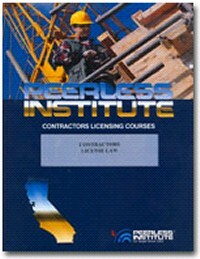 Designed for the California Contractor Exam, but should help raise your score on any state’s contractor exam. 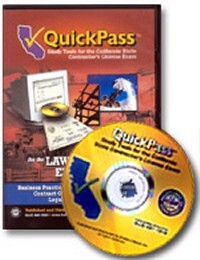 This unique study guide has been used by thousands to pass their Law & Business Examination, with a minimum of time and expense.